Next Scale Stop is the answer to cost effective and efficient prevention of the build up of lime scale. It is well known that boilers, water heaters and immersion heaters are especially susceptible to the ravages of scale build up in hard water areas. The build up of scale is likely to reduce energy efficiency in heating systems by 20 - 25% so it's not only an issue of protection, it's one of energy and cost reduction too! We hear every day about the rising cost of energy and how we must look for Green and sustainable ways to produce more of it. There is another option of course - use less of it! In hard water areas - effectively protecting boilers and water heaters can significantly reduce energy costs. We encourage the use of renewable energy, but there is much still to be gained from saving it which should not be overlooked. 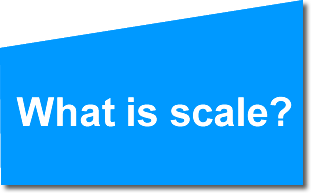 Scale is primarily composed of calcium, magnesium and bicarbonate. Scale deposits grow over time and are highly insoluble, making scale extremely difficult to remove once formed and often leading to premature breakdown and component failure. Scale reduces the inner diameter of pipes and elbows, ultimately leading to restrictions in flow rate and pressure loss problems in systems. Scale becomes encrusted on heat exchangers and internal moving parts of valves and components, leading to premature failure and costly repairs or replacement. 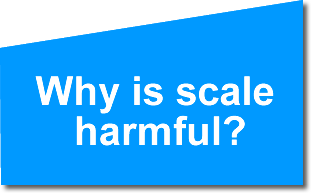 The build up of scale significanly reduces the efficiency of boilers and water heaters. This means that more energy is used, resulting in higher operating costs for end users. Next Scale Stop uses Template Assisted Crystallization (TAC) to attract hardness minerals and convert them into harmless microscopic crystals which do not stick to, block or corrode heat exchangers and other critical components. 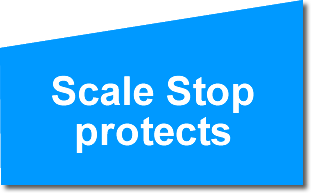 Next Scale Stop achieved a 99.6% effectiveness rating in scale prevention.